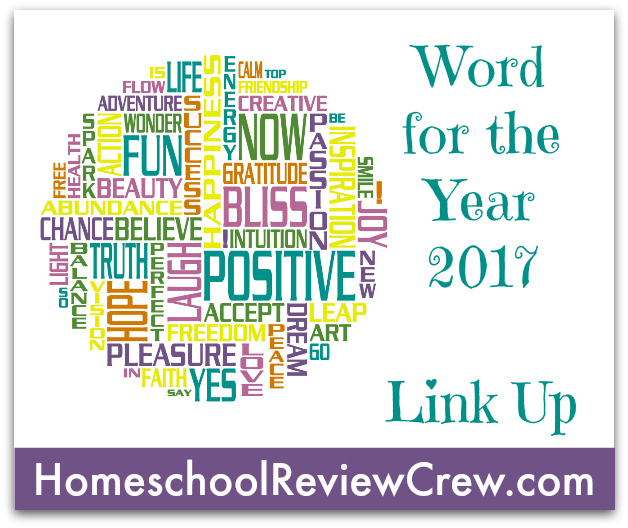 Happy New Year from the Homeschool Review Crew. A new year. Time for new beginnings and focus on things to come. As we grow older we begin to realize just how precious time really is. In scripture we are encouraged to “Make good use of every opportunity you have, …” Ephesians 5:16 Having a single word to help us focus and make good use of our daily opportunities is an easy way of keeping to our goal and helps us define our actions and choices. January is a wonderful time to slow down, pray and seek His will for our lives. add it to your mobile devices as a screensaver. May you experience the depth and breadth of His love for you in 2017. If you are a blogger please blog about your Word and link up below so we can be inspired and encouraged together. If you don’t have a blog leave your word in the comments section I would love to hear about your inspiring WORD for 2017. Thank you to Chareen from Every Bed of Roses for writing this post. Everyone is welcome to link up with this Blog Hop. We would love to have you! 1. To add your link, click the button that reads “Click here to enter your link” at the bottom of each post. 3. Grab our Blog Hop Button and place it within your post or on your sidebar.